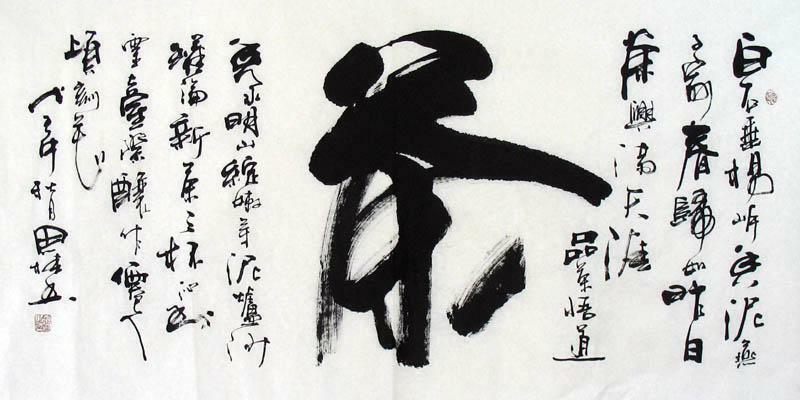 The Lantingji Xu ( literally "Preface to the Poems Composed at the Orchid Pavilion") or Lanting Xu is the most famous work of calligraphy by Wang Xizhi, composed in year 353. Written in semi-cursive script, it is the most well-known and well-copied piece ever. It describes a gathering of 42 literati including Xie An and Sun Chuo at the Orchid Pavilion near Shaoxing, Zhejiang, during the Spring Purification Festival to compose poems and enjoy the wine. The gentlemen had engaged in a drinking contest: wine cups were floated down a small winding creek as the men sat along its banks; whenever a cup stopped, the man closest to the cup was required to empty it and write a poem. In the end, twenty-six of the participants composed thirty-seven poems. The preface consists of 324 Chinese characters in 28 lines. The character zhi (之) appears 20 times, but no two look the same. It is also a celebrated work of literature, flowing rhythmically and giving rise to several Chinese idioms. It is a piece of improvisation, as can be seen from the revisions in the text. 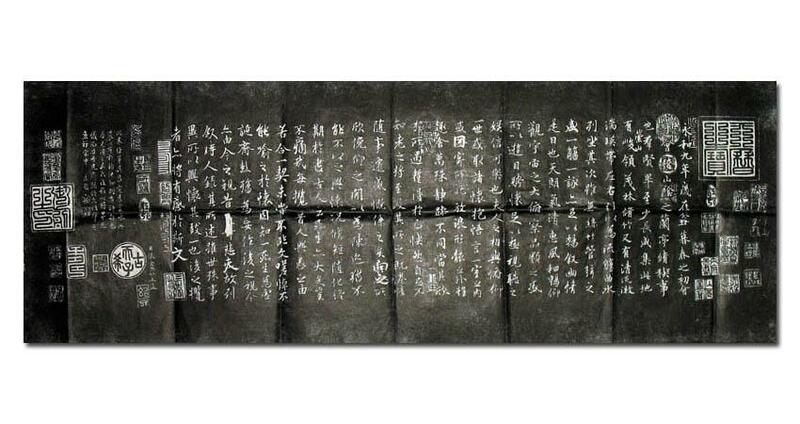 Emperor Taizong of Tang liked Wang's calligraphy so much that he ordered a search for the original copy of Lanting Xu. According to legend, the original copy was passed down to successive generations in the Wang family in secrecy until the monk Zhiyong, dying without an heir, left it to the care of a disciple monk, Biancai. Tang Taizong sent emissaries on three occasions to retrieve the text, but each time, Biancai responded that it had been lost. 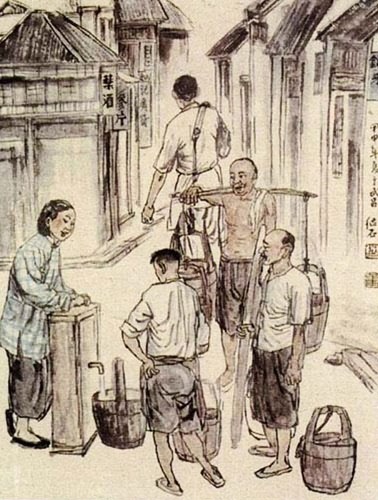 Unsatisfied, the emperor dispatched censor Xiao Yi (Tang Dynasty) who, disguised as a wandering scholar, gradually gained of confidence of Biancai and persuaded him to bring out the "Orchid Pavilion Preface." 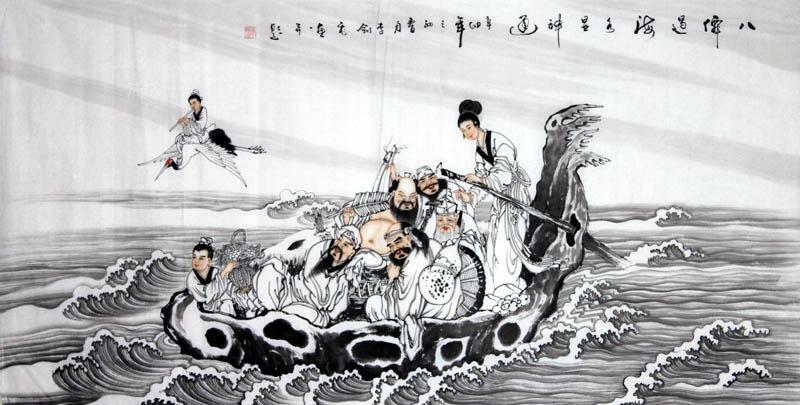 Thereupon, Xiao Yi seized the work, revealed his identity, and rode back to the capital. The overjoyed emperor had it traced, copied, and engraved into stone for posterity. Taizong treasured the work so much that he had the original interred in his tomb after his death. The story of Tang Taizong seizing the Lantingji xu has since been the subject of numerous plays and novels. Numerous tracing copies and other forms of duplications such as rubbings exist today. Holding a Chinese Brush, Embracing Chines Calligraghy In terms of holding Chinese brushes, different people have different styles. 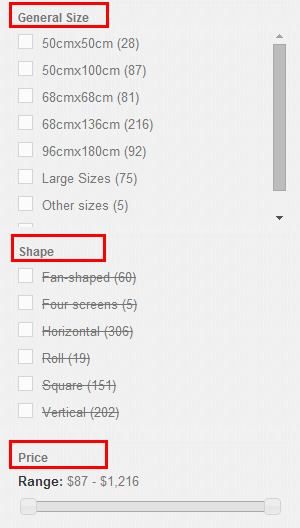 While, .. 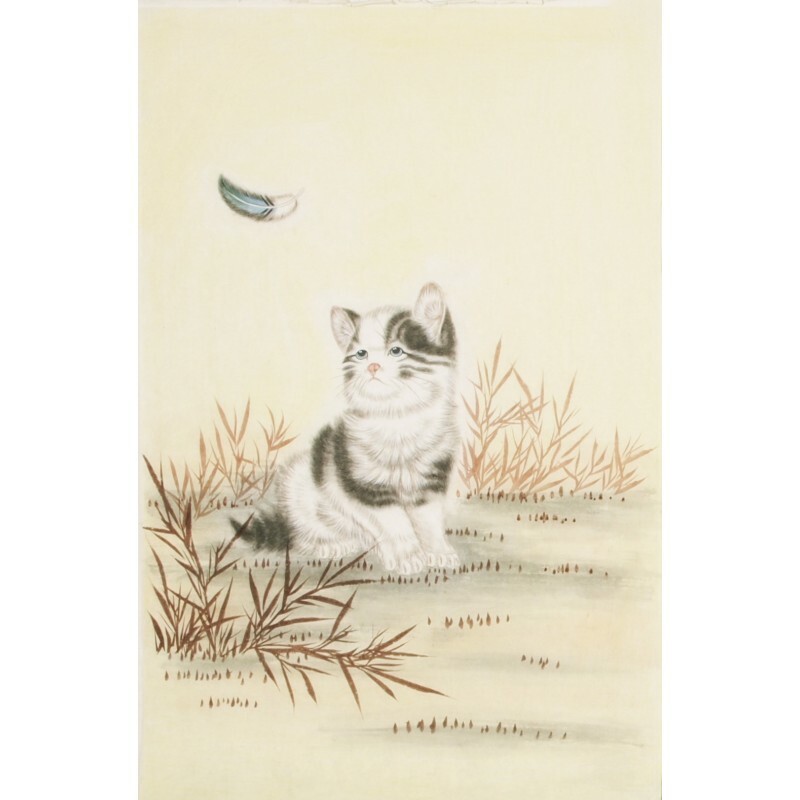 This entry was posted in Chinese Paintings, Chinese Poems, Chinese Paintings and tagged Chinese Calligraphy Art Works. Bookmark the permalink.